▼Above this old AGA cooker sits 'Trompe L'oeil' painted shelves displaying products from a by gone era - even a shopping note pinned to the wall. 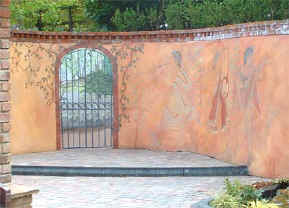 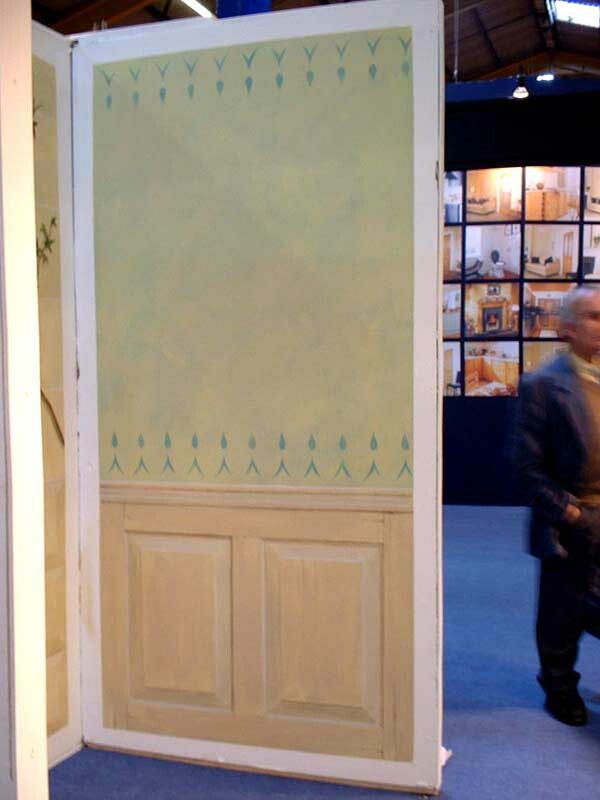 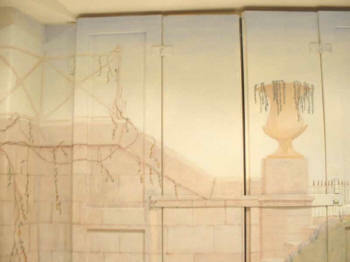 Example of Trompe L'Oeil panelling, colourwash and stencil design. 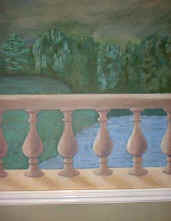 This was demonstrated at the "Interior and Garden show 2002"
The Back of these window shutters have been brought to life, a suggestion from a client that I wasnt sure would work, but I think it did very well! another WC - well if you gotta go you might as well go in style!